Apple's second-generation Magic Mouse and rebranded Magic Keyboard both feature rechargeable lithium-ion batteries and are recharged by Lightning cables, as part of a fall 2015 redesign of both Mac desktop accessories. The all-new Magic Keyboard features a full-size design while taking up 13 percent less space than its predecessor. It also features a new scissor mechanism on the keys, which are adorned with Apple's new San Francisco font. Apple says the reengineered scissor mechanism increases key stability by 33 percent while also optimizing key travel. The new integrated battery is also said to last about a month or more between charges. Apple Magic Keyboard is priced at $99. The Magic Mouse was also upgraded on Tuesday to a new second-generation model, which Apple says has been redesigned with a lighter, and sturdier construction. 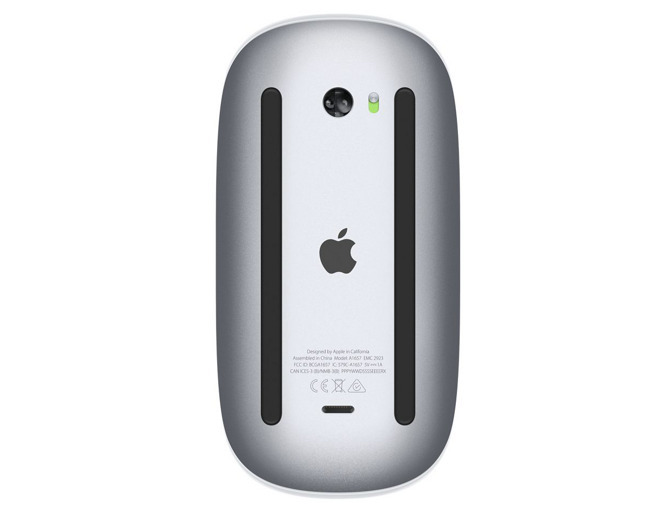 Magic Mouse 2 is also said to feature a smoother glide thanks to an optimized foot design. Magic Mouse 2 is lighter than its predecessor, and features fewer moving parts thanks to its built-in battery and continuous bottom shell. Like the previous model, it features a Multi-Touch surface, but it does not offer Force Touch input like the Magic Trackpad or latest MacBooks. All of Apple's new Bluetooth accessories recharge via Lightning cable, like the iPhone and iPad. The Magic Mouse 2 is priced at $79.